Todd storage is a great place/friendly, safe , clean, affordable! I would highly recommend to anyone needing storage! Staff very helpful in alll ways! I love having Brenda at the front desk she is amazing! If your needing storage check them out you will be glad you did!!!! The owner of the company is amazing. I had some personal things come up and was not able to make a payment. They are always willing to work with there customers. Convenient storage units and a free truck to help you move in. Super storage facility & great prices!! I'm currently using Todd storage facilities. I'm super pleased with everything the storage areas are clean, their prices are very reasonable & Ms. Brenda in the front office is so very helpful with any questions, she always makes time to ensure that your happy as a customer that means an awful lot you don't get that everywhere! Give Todd storage a try, you definitely won't be disappointed!! Quality- Locks are easy to work. We did have to sweep out our unit but otherwise it was perfect for our needs. Customer Service- Both David and Brenda are a delight to work with. Price- Comparable but much less hassle than the competitor. Convenience - We needed 24 hour access and they were able to provide that for us. My sister and I have used Toddsselfstorage for three years after the passing of our mother. The staff is always friendly and we love working with Brenda. She is very knowledgeable and easy to work with. Before we were at this facility we were at another down the road. While it was newer the staff were rude and pushy and constantly upselling. 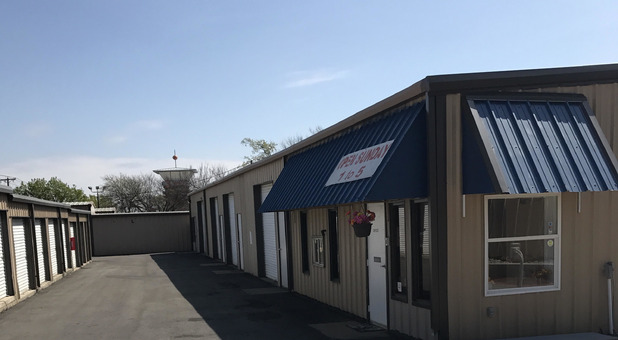 We have used Todd's Self Storage several times in the last 14 years and found them to be courteous, units clean, reasonably priced, friendly service, easy access to our unit, & open when we've needed them. A great location and a definite referral if anyone is looking for a storage facility. This facility is highly recommended!! I have never thought of using a storage facility until I spoke with Brenda, she answered every concerning question I had about storing my things with anyone. Now when I'm ready to put my things in a secure facility, I will be using Todds. Thanks for having such knowledgeable employees. Best storage facility around. Prices are reasonable, great location and Brenda is awesome, very personable and knows her business. Highly recommend. I love this place you can't beat the price and friendly atmosphere and it didn't matter what questions I had Brenda answered them with no problem. I'd definitely recommend this place to anyone! Brenda is so fantastic. She knows her clients by name and we feel so much better having our trailer stored at such a dependable facility. They really care about their customers. They just really have the best deals in the Mansfield area for a years now. Have done business with them consistently for my whole families storage needs and they always beat out the other competitors hands down every time. Plus, their staff is knowledgeable, courteous and always willing to help. I definitely recommend using their services. Absolutely! The management is very nice. I was very happily impressed with the management. They are all really nice and accommodating. The grounds are clean and inviting and the space that I rented was also clean. The price is reasonable and I feel like my stuff is being well taken care of. Although I found a cheaper space elsewhere, Brenda's customer service is Awesome and that's why I chose Todd's. Just as nice in person as on the phone. Although Dave was new & just learning the system, he was very nice too. Ms.Brenda helped me in our time of need. Great customer service by Ms. Brenda. She is very professional and helpful lady. Their prices are reasonable and storage sizes are excellent. I would recommend this to everyone! I was coming from Illinois and had not made any appointment to reserve storage area but inroute I called to made reservation, but my arrival wouldn't be until after closing the staff made acomadations for me to allow me to store my items into storage even after office was closed. thanks. Friendly customer service and affordable pricing. Been a customer for almost 2 years, we really appreciate the service they have provided us!!! Great customer service, great pricing!!! We will definitely recommend to our friends and family! Nice and friendly customer service during initial rental. While the experience was nice and friendly during the initial rental, I was disappointed when it came time to use the truck for moving. I had a day and time agreed upon to use the truck, but when that time came, the office was closed. I had a very small window of opportunity to move my belongings to storage, so I had to scramble to find another means of moving my belongings. I used Todd's self storage (now Armor) for almost 2 years and hands down they are the best. If I ever forgot to call and make my payment, they always gave me a reminder call. The staff there is amazing!! They are always friendly and willing to help. If you leave a message, don't worry, they will call you back!! I highly recommend them!!! Nice units, I like that they come with a lock. 24 hour access would be better, but at least they have security cameras, so I know my things are safe. Very nice people in the office as well. Excellent Storage Facility and Manager! I have used Todd Self Storage for about 4 months now, and have received nothing but Grade A service. They are polite, great about responding quickly, and take the time to let you know of any deals they currently have for the unit you're looking for. The storage facility itself is very clean and very quiet, and the location and prices are both very agreeable. 10/10, would recommend. New Management and what a difference! I would highly recommend to a friend now. I have stored here for about a year and was shocked how great things started to look about a month ago and come to find out, we're under new owner/management. Way to go new Todd Storage owner!! Looking better each day! 10-yr. customer for a reason! Todd Storage in Mansfield has been a friend over the years. Always courteous, friendly, & helpful, & ready to make things right if they messed up but always ready to forgive when it's my goof. Great facilities - size/cost very competitive, easy access. Check them out - you won't be disappointed!